This is an original quality part manufactured by Pierburg. Multiple choices exist for:VW SANTANA 1.6,1.8 Fuel Pump. FOR VW SANTANA. Vehicle compatibility. PART CHOICE ALERT. VAG 035127025G. VW 035127025G. AUDI 100 (43, C2) 1.9 Saloon Petrol 08/1980 07/1982 FWD 10 100 74. AUDI 100 (43, C2) 2.0 Saloon Petrol 06/1976 08/1978 FWD 8 115 85. AUDI 100 (43, C2) 2.1 Saloon Petrol 10/1977 07/1982 FWD 10 115 85. Santana (81-84). Scirocco (74-92). Passat (73-96). Fuel Pump & Seal. This will fit the following vehicles:-. 1.3 / 1.5 / 1.6 / 1.8 inc Syncro. Golf Mk I (74-83). 1.6 / 1.8 inc Syncro. 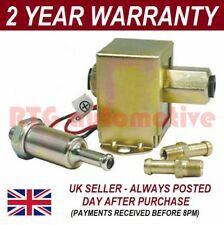 VW SANTANA 32B 2.0 Fuel Pump 83 to 84 JS QH VOLKSWAGEN. VW PASSAT (32B) 1.8 Hatchback Petrol 01/1983 03/1988 FWD 8 90 66. VW PASSAT (32B) 1.8 Hatchback Petrol 12/1983 03/1988 FWD 8 112 82. VW PASSAT (32B) 2.0 Hatchback Petrol 08/1983 03/1988 FWD 10 115 85. SANTANA 1.3 from 8/81 to 7/84. SCIROCCO 1.1 1.3 from 1975 to 7/81. PASSAT 1.3 from 7/77 to 7/84. JETTA 1.1 1.3 from 8/78 to 7/81. GOLF 1.1 1.3 from 1975 to 81. GOLF VAN 1.1 1.3 from 1980 to 7/81. 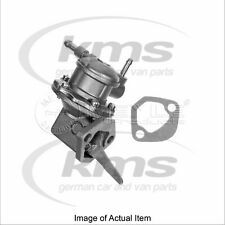 VW SANTANA 32B 1.8 Fuel Pump 83 to 84 DS QH VOLKSWAGEN. VW SANTANA (32B) 1.6 Saloon Petrol 08/1981 12/1982 FWD 8 85 63. VW SANTANA (32B) 1.6 Saloon Petrol 08/1981 12/1984 FWD 8 75 55. VW SANTANA (32B) 1.8 Saloon Petrol 01/1983 12/1984 FWD 8 90 66. VW SANTANA 32B 1.6 Fuel Pump 81 to 84 QH VOLKSWAGEN. VW SANTANA (32B) 1.6 Saloon Petrol 08/1981 12/1982 FWD 8 85 63. VW SANTANA (32B) 1.6 Saloon Petrol 08/1981 12/1984 FWD 8 75 55. VW SANTANA (32B) 1.8 Saloon Petrol 01/1983 12/1984 FWD 8 90 66. 5 04 13 17/Q. ALL PART NUMBERS USED FOR REFERENCE ONLY. 052 127 025H. VW Passat 3B3 Petrol Fuel Pump. Donor Car: 2000 VW Passat Estate 1800cc. The New and Used VW Parts Specialist for all VW models worldwide. 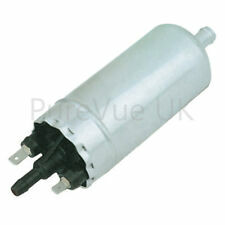 VW Part Number: 8E0 919 051 A. It may fit others. VAG PART NUMBER: 1K0919051DB. 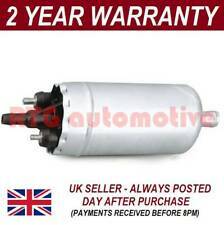 VW GOLF MK6 2009-2012 1.4 TSI PETROL FUEL PUMP TANK LEVEL SENDER UNIT I N GOOD USED CONDITION. # GENUINE SKV GERMANY - FUEL PUMP - HEAVY DUTY. # About SKV Germany. Fuel Type: Petrol. VW SANTANA (32B) 2.0 08.83 - 12.84 85 115 1994. Are you worrying how to proceed warranty if you are from different country?. SEAT 027 198 052 2. VW 670 568. VW 040 133 035 3. VW 040 133 035 2. VW 040 133 035. VW 027 133 052 1. STANDARD 16538. FIAT 7529724. VAG 056127025B, 056127025C, 26127025. 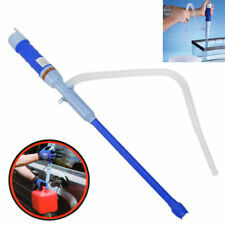 Fuel Pump VE523137 Cambiare. Part Number VE523137. AUDI 100 (43, C2) 1.6 Saloon Petrol 08/1976 07/1982 FWD 8 85 63. AUDI 100 (44, 44Q, C3) 1.8 Saloon Petrol 02/1986 07/1988 FWD 8 88 65. Volkswagen Derby, Golf, Jetta, Passat, Polo, Santana, Scirocco. Santana 1.3 1272cc Eng. FY, FZ 08/81 – 07/83. Santana 1.8 1781cc Eng. JV 08/83 – 12/85. Derby 0.9 895cc Eng. HA 07/1976 – 09/81. Derby 1.1 1093cc Eng. VAG 026127025A, 26127025. 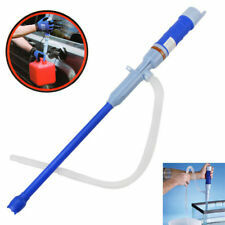 Fuel Pump VE523150 Cambiare. Part Number VE523150. AUDI 100 (43, C2) 1.6 Saloon Petrol 08/1976 07/1982 FWD 8 85 63. AUDI 100 (44, 44Q, C3) 1.8 Saloon Petrol 02/1986 07/1988 FWD 8 88 65. VE523137 Fuel pump fits AUDI VW VE523137 Fuel pump fits AUDI VW. NOTE1 : Part Number - VE523137. > Throttle Bodies. Fuel Pump QFP19 Quinton Hazell. Part Number QFP19. VAG 035127025G. VW 035127025G. AUDI 100 (43, C2) 1.9 Saloon Petrol 08/1980 07/1982 FWD 10 100 74. AUDI 100 (43, C2) 2.0 Saloon Petrol 06/1976 08/1978 FWD 8 115 85. Donor Car: 2006 VW Passat B6 Saloon 2000cc. VW Passat 3C2 3C5 In Tank Diesel Fuel Lift Pump. The New and Used VW Parts Specialist for all VW models worldwide. VW Part Number: 3C0 919 050 G. Donor Car Colour: Bodywork is Blue LD5Q. Santana 1.3, 1.6, 1.8, 8/80 - 88. Scirocco 1.5, 1974 - 7/83. 1.6, 1974 - 90. 1.8, 8/83 - 92. Avant 1.6, Coupe 1.6, 1979 - 83. Avant 1.8, Coupe 1.8, 1983 - 86. Caddy Van 1.5, 1982 On. 1.6, 1982 - 92. VAG 026127025A, 056127025A, 056127025B, 056127025C. Fuel Pump QFP16 Quinton Hazell. Part Number QFP16. 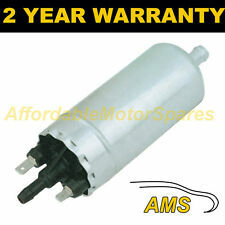 VW 056127025A, 056127025B, 056127025C. LANCER BOSS FP2. AUDI 100 (43, C2) 1.6 Saloon Petrol 08/1976 07/1982 FWD 8 85 63.